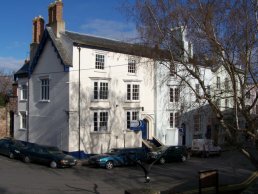 St. Mary's Street, Ross-on-Wye, used to be called Upper Church Street whilst the current Church Street was called Lower Church Street. 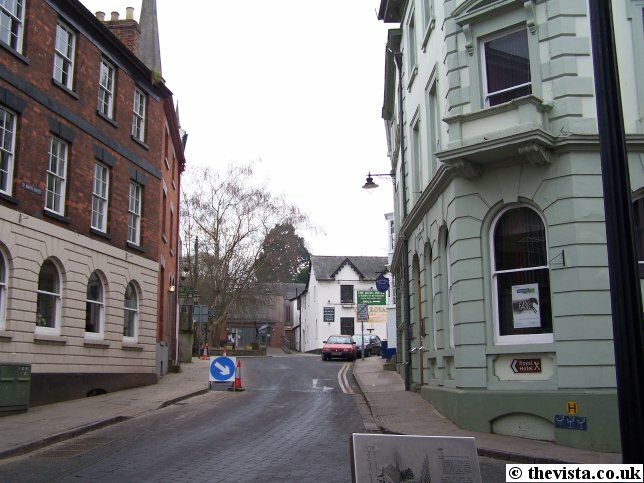 This is unusual as most towns and cities only have a single Church Street and it is unclear both why it had two 'Church Streets' or exactly why it was subsequently changed to St. Mary's Street. 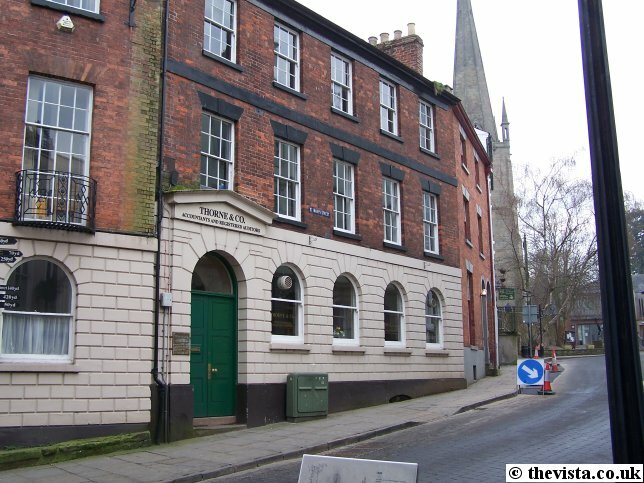 During the early part of the seventeenth century, the left (east) side of St. Mary's Street was owned by James Cowles and was one property. In 1645, it had become a pub called the Reindeer and by 1675 it was the Old Falcon. Later still it became the Duke of Marlbrough's Head. In the 1840's this was the Wine Vaults which was opened by Richard Watkins who was a wine and spirit merchant. Later, by 1933, no. 2 & 3 St. Mary's Street was owned by Harry Morris and was still called the "Wine Vaults" but during the 1930s it became a public house called the Hole in the Wall. 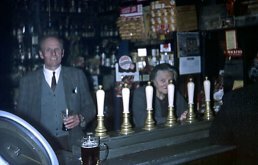 Harry died in 1942 and the pub became famous as his wife Florence left the bar exactly as it was and nothing was moved. The dust became a tourist attraction. 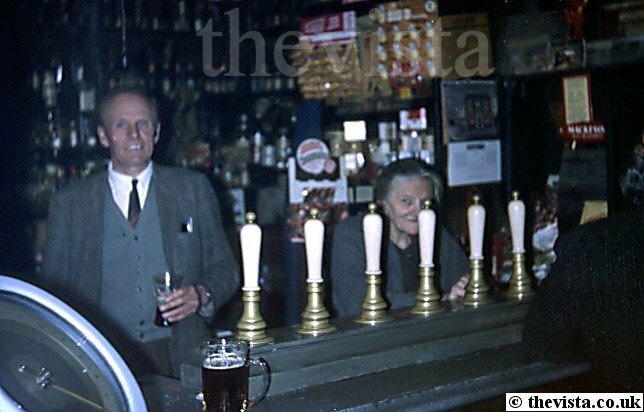 Here we see Florence and her son, Les, behind the bar. In the foreground are the beer pumps but these apparently did not work and the pub only sold beer in bottles. The pub closed in the 1970s after Florence died and the contents were then sold off. The bar top went to St. Owens Cross Inn or the New Inn Hentland. 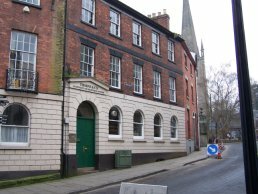 The Lost Street Museum, in Brookend Street, exhibited many of the other items from the pub until it too closed in around 1997. 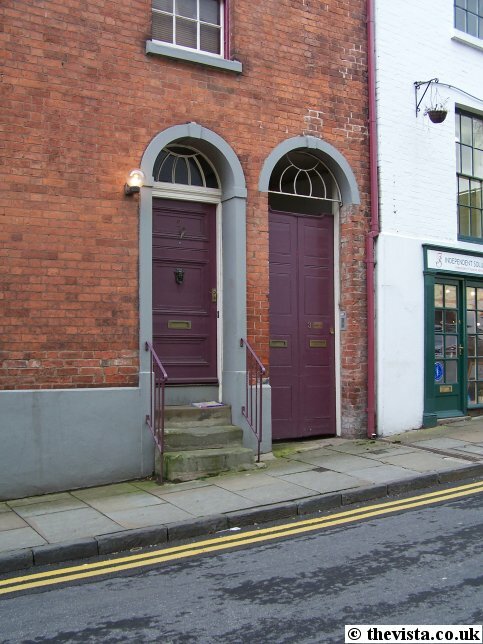 The items from the museum were then sold off by Christie's on Thursday 16 October 1997 and Friday 17 October 1997. The number of items in the catalog is amazing!! The site of the pub has more recently been taken over by Wyenet Internet Services. 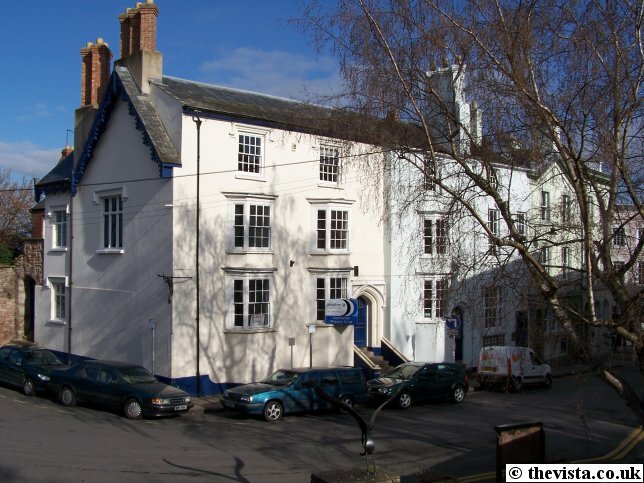 This building is an example of a late seventeenth century house and was where William Fisher lived. 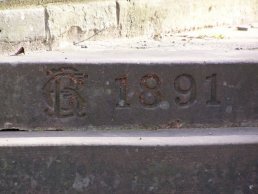 William Fisher, who was a Quaker, was another benefactor of the town. 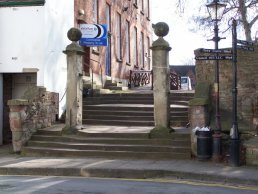 To the east side of St Mary's Street are the church steps. 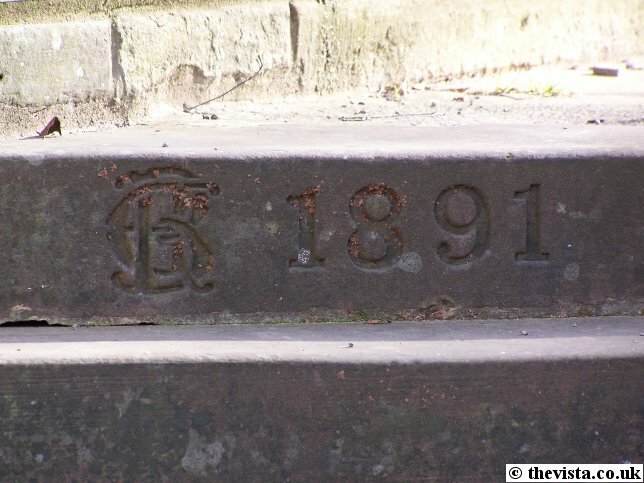 These were built in 1891 (or that is the date on them) and the monogram on them could be an intertwined "RC". This could be "Robert Clark" who was recorded as being a stone mason in Nursery Gardens, Ross in the 1876 "Littlebury Directory and Gazetteer of Herefordshire". Then again it could be something like "B E G". 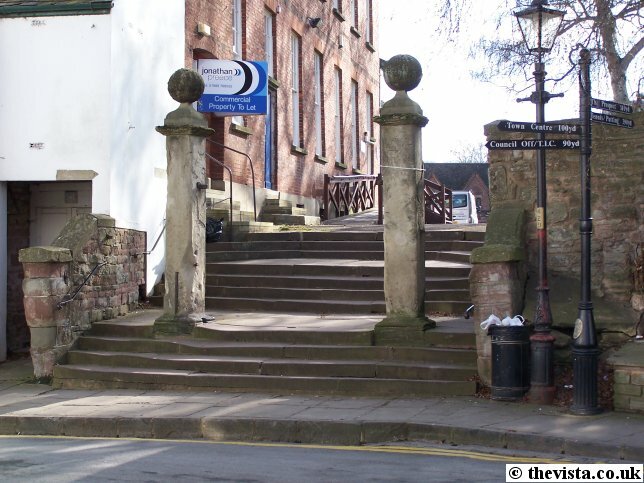 The steps are at the start of the churchyard and to the left of them used to be the Church House. This may well have been the dwelling of the chantry priest and was later used, after the reformation and the Quakers arrived in Ross, as a Quaker teaching place.